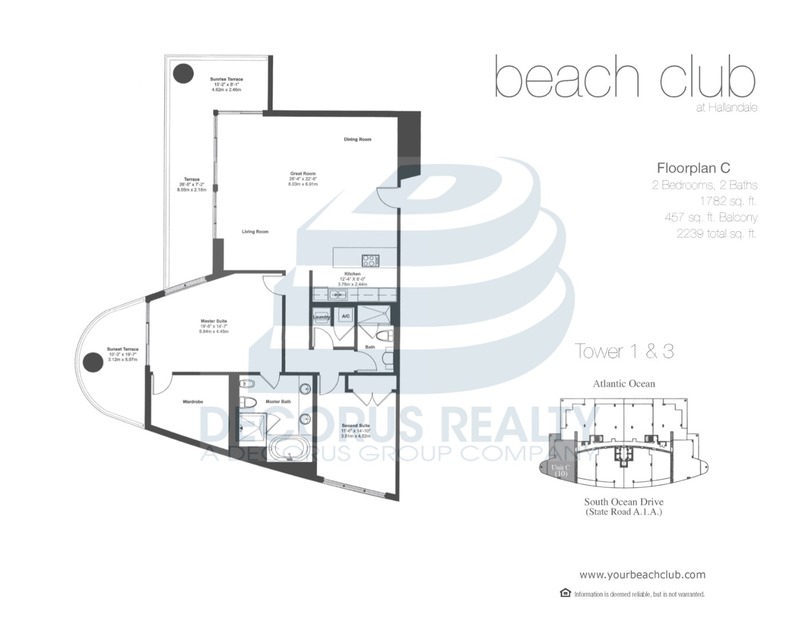 Beach Club Hallandale(Tower Three) > 805 - BEACH CLUB THREE!!!! TWO BEDROOM TWO BATHROOM WITH TWO PRIVATE BALCONIES!!! LARGE LIVING ROOM AND MASTER BEDROOM WITH ENDLESS OCEAN AND POOL VIEWS!!! UNIT HAS MARBLE FLOORS THROUGHOUT AND THE LARGEST MASTER CLOSET IN ALL OF BEACH CLUB!!! BEACH CLUB FEATURES STATE OF THE ART AMENTITIES WITH A 50,000 SQUARE FOOT GYM, 5 POOLS, 7 JACUZZIS, BAR AND RESTAURANT, CHAIR AND UMBRELLA SERVICE AT THE POOL AND BEACH, AND FITNESS CLASSES DAILY! DON'T MISS OUT!!! LOWEST PRICE UNIT PER SQUARE FOOT WITH OCEAN VIEWS IN ALL OF BEACH CLUB!!! BEAUTIFUL UNIT!!! OWNER FINANCING AVAILABLE!! !